Dreams for Women – 12th Week!! 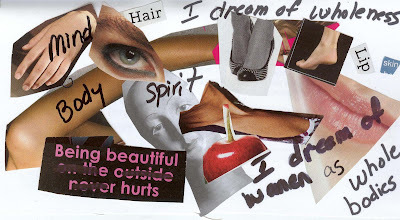 Here is the 12th week of the Dreams for Women art project and I just want to thank everyone for all the fabulous postcards that have been submitted so far. You gals have been doing such a fabulous job! Thanks to all those who submitted… and keep it up… spread the word! I just wanted to remind readers that we currently only post postcards every second week! We’re hoping to post them every week but we need your help! So get some friends together and make some postcards and send them in! Donations? Questions? Want to see more postcards? 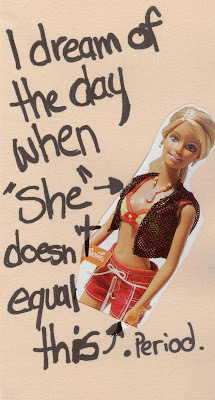 Check out previous weeks under the Dreams for Women section. Dreams for Women Calendar Vote!!! 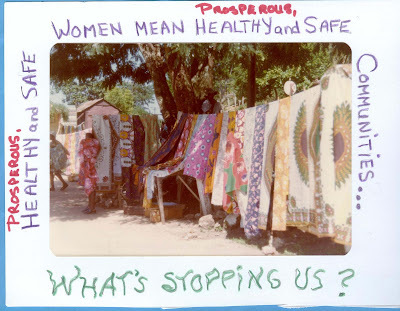 Antigone Magazine will be creating a 2009 Dreams for Women Calendar set to launch in early September and which will be featuring postcards that YOU have contributed to our community art project! And so, we want YOU to be involved in choosing which postcards go into our calendar. We’ve put together a shortlist and want you to vote for your favourite five postcards (you can do it in the comments). Also, scroll down to the end of the post and learn more about our calendar, how you can buy it promote it… or use it to fundraise for YOUR group! 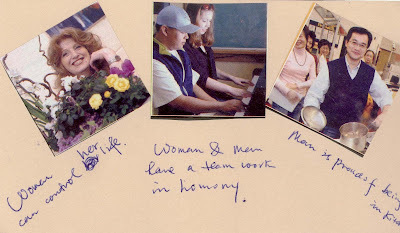 The 2009 Dreams for Women Calendar will be coming out in late August 2008 and will cost $20 Canadian. We will also be selling it in bulk at a discounted price so that other groups can use it for a fundraiser. So, anyone who buys more than 10 copies will pay only $10 per issue. You will then be able to resell it for $20 and raise money for your organization! Please let us know if you are interested in using the calendar as a fundraiser! You can e-mail us to reserve copies at antigonemagazine@hotmail.com. 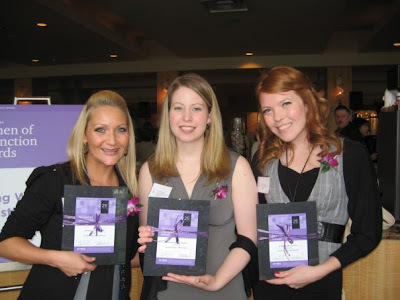 The Antigone Foundation and Antigone Magazine would like to congratulate their founder, editor and Executive Director Amanda Reaume for winning the 2008 YWCA Young Woman of Distinction Award. The 25th Annual YWCA Vancouver Women of Distinction Awards were presented May 26, 2008 at The Westin Bayshore in Vancouver, BC. The Women of Distinction Awards honours inspiring women from across the Lower Mainland. The award recipient in each category has distinguished herself by contributing to the community and demonstrating exemplary leadership. 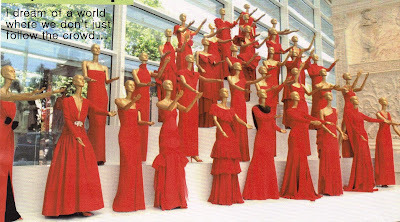 Reaume founded Antigone Magazine, a national semi-annual magazine about women, politics, women in politics and the politics of being a woman, in 2006. Under Amanda’s leadership, Antigone Magazine interviewed women like Green Party Leader Elizabeth May and former Prime Minister Kim Campbell. At only 23, Amanda is currently the volunteer executive director of the Antigone Foundation, a non-profit organization that she founded that works to encourage young women to get involved in politics. For more information about Antigone Magazine or to subscribe for only $12 see http://www.antigonemagazine.blogspot.com or e-mail antigonemagazine@hotmail.com. The Young Woman of Distinction Award is presented to an exceptional young woman aged 18-25 who demonstrates leadership, maturity and compassion. Through her commitment to a cause or pursuit of a personal dream, this young woman has shown perseverance, innovation and a keen understanding of community issues. For more information about the YWCA Vancouver Women of Distinction Awards, visit http://www.ywcavan.org/distinction or contact Communications Coordinator Sondi Bruner at 604-895-5767 or sbruner@ywcavan.org. If you would like to schedule an interview with Amanda Reaume, please contact her at antigonemagazine(at)hotmail.com. 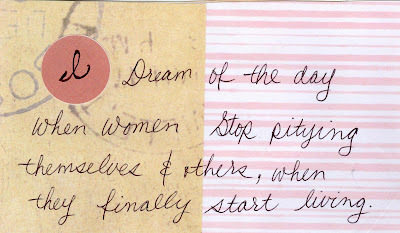 Dreams for Women – Eleventh Week! Be sure to check out the info about the Dreams for Women Calendar below! 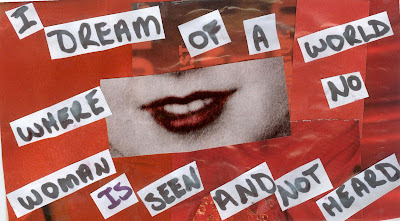 Here is the 11th week of the Dreams for Women art project and I just want to thank everyone for all the fabulous postcards that have been submitted so far. You gals have been doing such a fabulous job! I especially want to thank Catherine Ross’ Women’s Studies class at the Vancouver School Board, who made many of the postcards this week. I did a presentation for them last week and it was so wonderful to meet the students and to make postcards with them. Does Gender Matter: Are Women Leaders Different? In the meantime, watch former California State Senator Rebecca Morgan as she argues for greater representation for women in government, and discusses current barriers to women running for public office. Dreams for Women – Tenth Week! 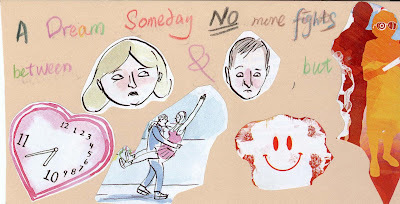 Here is the 10th official week of the Dreams for Women art project. I especially want to thank the Roosevelt University Feminist Majority members, who submitted a bunch of postcards this week and made a generous and much appreciated donation! Thanks to all those who submitted… and keep it up… spread the word! I just wanted to remind readers that we currently only post postcards every second week! We’re hoping to post them every week but we need your help! So get some friends together and make some postcards and send them in! Check out previous weeks here. 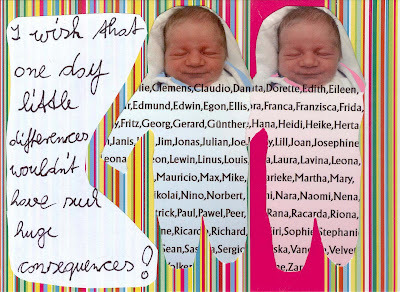 With your postcard submission, we ask that you make a donation (if you can!) to Antigone Magazine anywhere from $1 to $10. 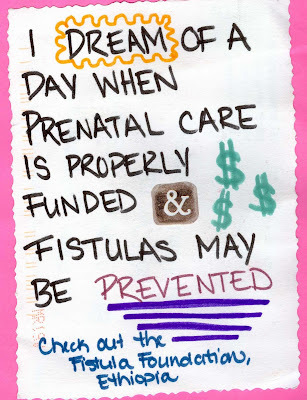 You can send your money along with your postcard or donate on our blog. But don’t worry… if you don’t have the money, just send along the postcard and tell people about this program! What is Antigone Magazine? We’re a grassroots national magazine that works to encourage young women to get involved in politics in Canada. We work to empower young women to engage politically and civically and to actively take part in leadership roles.We are raising the money in order to help launch the Antigone Foundation, a national foundation that will encourage young women aged 10-30 to get politically and civically engaged. Help support Antigone as we help to make the dreams of young women come true!